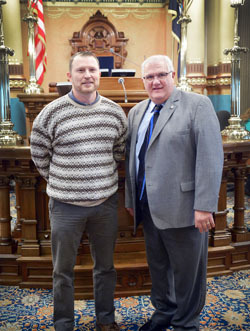 LANSING, Mich. — Sen. Dale Zorn, R-Ida, welcomed U.S. Army veteran William T. Bruck and Monroe Community College students, staff and trustees to the Michigan Capitol on Wednesday. Left photo caption: Sen. Dale Zorn, R-Ida, welcomed U.S. Army veteran William T. Bruck to the Michigan Capitol on Wednesday. Bruck is a 24-year veteran of the armed forces and served three tours in Iraq and Afghanistan. 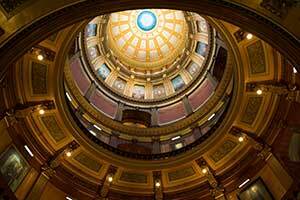 He owns Visiting Angels of Monroe, a national provider of in-home care for the elderly, and was at the Capitol as part of a visit by Monroe Community College, where he serves as a trustee. 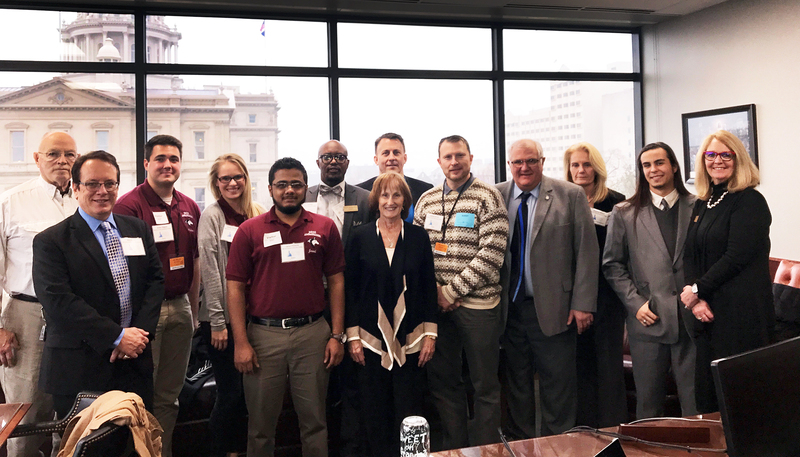 Right photo caption: Sen. Dale Zorn, R-Ida, welcomed Monroe Community College students, staff and trustees to the Michigan Capitol on Wednesday. Editor’s note: The photographs of Zorn are available by clicking on the images or by visiting the senator’s website at www.SenatorDaleZorn.com/Photowire.